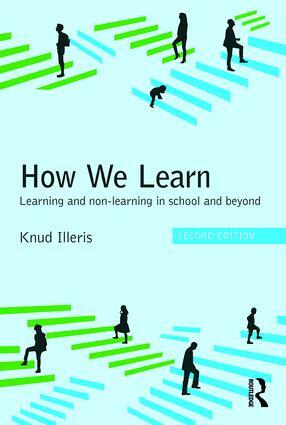 Having published in 11 languages and sold in more than 100,000 copies, this fully revised edition of How We Learn examines what learning actually is and why and how learning and non-learning takes place. Focusing exclusively on learning itself, it provides a comprehensive yet accessible introduction to traditional learning theory and the newest international contributions, while at the same time presenting　an innovative and holistic understanding of learning. How We Learn spans from a basic grounding of the fundmental structure and dimensions of learning and different learning types, to a detailed exploration of the differing situations and environments in which learning takes place. These include learning in different life stages, learning in the late modern competition society, and the crucial topic of learning barriers. Transformative learning, identity, the concept of competencies, workplace learning, non-learning and the interaction between learning and the educational approaches of the competition state are also examined. Forming the broadest basic reader on the topic of human learning, this revised edition is integral reading for all those who deal with learning and teaching in practice. Particularly interested will be MA and doctoral students of education as well as university and school based teachers. Knud Illeris is a Danish professor of lifelong learning and the founder of the Simonsen & Illeris Educational Consultancy. He has studied learning in theory and practice for more than 40 years and lectured in 35 countries in all parts of the world. He has also been an honorary professor at Columbia University in New York and is a member of The International Adult Education Hall of Fame.